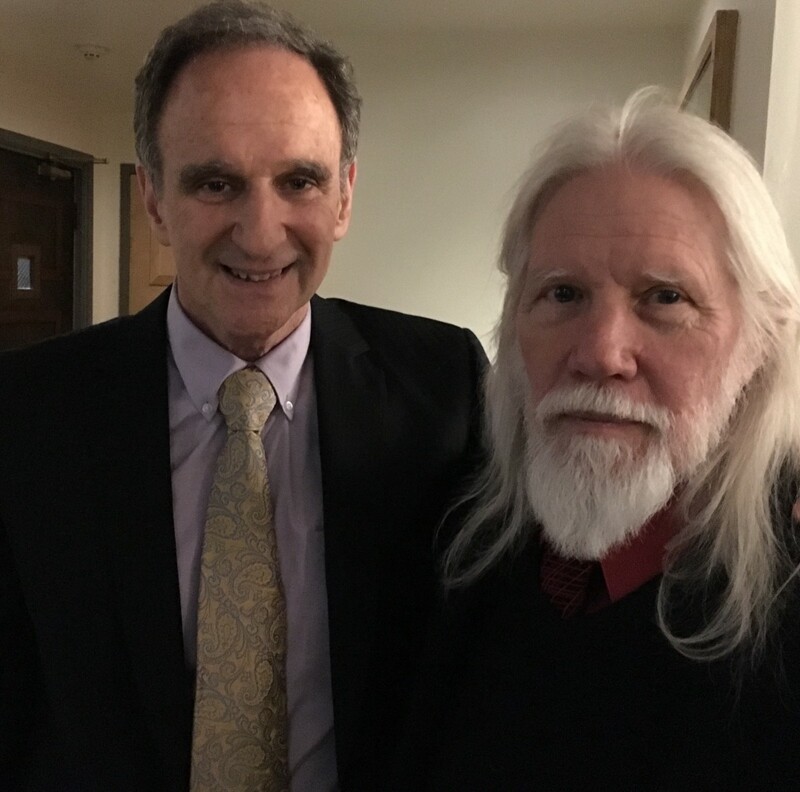 Last week I arrived in San Francisco to hear good news: Whitfield Diffie and Martin Hellman had won the ACM A.M. Turing Award. This is the Nobel Prize of computer science, with a million-dollar check and priceless prestige. The choice of these 2016 honorees is both long overdue and appropriately timely. Overdue because their contribution to the field (and to the world) was public key cryptography, which they created in 1976. And timely because the consequences of their invention — which would lead to the development of online privacy tools, whether the government liked it or not — are once again a flash point of Constitutional proportions. The announcement of the award came at the massive annual RSA Conference. The gathering itself is a symbol of the growth of encryption in the public sector. The conference began in 1991, as a small gathering of a few dozen scientists and businesspeople. At the time, cryptography was only beginning to come out of a long period in the shadows. For decades, crypto had been considered a taboo topic of discussion, so deep into classified territory that when academics wrote papers with cryptographic implications, the government would quickly classify those documents, banning access even to their authors. Open statements almost never came from the National Security Agency (its name was seldom uttered, even in Congress), and its directors avoided public appearances with a zeal that made Howard Hughes look like Donald Trump. Then came Diffie and Hellman, whose breakthrough enabled people to send encrypted messages to others without prior arrangements. Previously, encryption had involved the exchange of a key to unlock a message — so you had to agree beforehand on the key, and then protect it, because anyone who had the key could read the private message. Their insight did away with that, by using pairs of private and public digital keys. (You scramble a message with your recipient’s widely available public key, and now only the recipient can read it, by unscrambling the message with the matching private key.) This enabled e-commerce, digital signatures, and many other things. But this was a hard-won lesson. For most of the ’90s, the government’s “compromise” on this issue — or its (pipe) dream — was that you could concoct a system where everything was locked down tight, but some carefully designed kink in the process would let the Feds get the information if they really wanted it. The NSA came up with an elaborate scheme to do just that, called “key escrow.” Its embodiment was the “Clipper Chip.” This was a piece of silicon designed to put the all-important keys (which unscramble encrypted messages, and are supposed to be held only by those for whom the messages are directed) in that aforementioned escrow, so that when the government needed to decode a message, it could ask for and receive the key that changed ciphertext to plaintext. It was an unwieldy and impractical idea — especially since people who wanted security had options to buy stuff without Clipper Chips — and its demise helped lead the government to the conclusion that people highly motivated to protect their information were going to use crypto anyway. In theory at least, intelligence and law enforcement agreed to accept the fact that crypto was here to stay, and if they wanted to gain access to encrypted communications and files, they would do so by warrants and their own cryptanalysis, and not by demanding that the systems themselves should be weakened. The Feds originally argued that their Apple motion is a one-time demand for this one phone, by this one really, really bad person. But it turns out that other prosecutors have their own encrypted phones with potential evidence in a variety of other cases. So think of this demand as a bespoke Clipper Chip, created by private-sector engineers who must produce it against their will. By demanding that Apple change its operating system to get access to a single iPhone — and then another, and another, and another — we are in the thick of Crypto Wars Redux. Three big things have happened since the first round of the Crypto Wars. First, of course, was 9/11. The second was the Snowden revelations, which exposed how the government had stepped up its surveillance of communications, greatly increasing its cache of private information despite the existence of crypto. And the third, definitely related to factor two, was the explosion of new technologies — notably the iPhone and its progeny — that put even more of our personal information in the cloud. (In 2001, Google was just getting started.) All of these things make the stakes much higher this time around. But here’s something that didn’t happen: a strong crypto infrastructure that protected our information and privacy. The fact is that while the security industry has boomed, our information really isn’t much safer than it was when we were fighting the first crypto war. This is because the tech world has been slow to build strong encryption into our systems as a default. It’s been too hard to use, and all too often businesses and institutions don’t even take obvious steps to secure data. Chronic lapses in our communications software and disasters happen on almost a daily basis. (Two horrifying examples from a long list: Anthem Blue Cross’s breach that exposed records of up to 80 million Americans; and the theft of over 21 million super-sensitive government background checks from the Office of Personnel Management). We simply haven’t used our capabilities to make our electrical grids, our credit card systems, and our ISPs bulletproof. As a result, the public has not fully reaped the spoils from winning that first crypto war. But that’s changing. Because of the endless chain of spectacular security failures and the Snowden news that the NSA is grabbing everything it can, the tech industry is finally ramping up its security. American companies are worried that foreign customers might regard their products as direct conduits to American authorities. So they have changed their practices for moving information between their data centers. Now, confirming government’s biggest nightmare, Apple has planted a flag in the ground for privacy — endeavoring to scramble data on its iPhones so only customers can access them. Martin Hellman and Whitfield Diffie on March 1, after the announcement that they had won the Turing Award. Photo by Steven Levy. As with the first round of the crypto wars, the stakes could not be higher. Once again, the government is seeking to control that genie first released by Diffie and Hellman. But the physics of computer security have not changed. Last July, a panel of fifteen eminent security specialists and cryptographers — many of whom are veterans of the first crypto war — released a report confirming there was no way for the government to demand a means of bypassing encryption without a dire compromise of security. It just doesn’t work. One final anecdote. In the fall of 2001, I attended a book party for James Carville, the former Clinton advisor. Whether intentional or not, the party was held at a bar only a couple of streets north of Ground Zero. The site was still crawling with cranes and other machinery, untangling and carting off the wreckage. The pulverized residue of that fateful Tuesday — an unforgettable effluvium of dust and death — still lingered in that sector. But the party was very well attended, because it was broadly rumored that Bill himself would be dropping in. When the time window for the party ended, no one left, as the word was out that the former president was still intending to appear. Sure enough, at around 9 — a half hour after the event was supposed to end — the man appeared. He immediately began working the room. At one point, my friend Jonathan Alter introduced us, explaining that I had written a book about the encryption controversy that had taken place during his administration. Clinton vigorously pumped my hand and fixed his eyes to mine, sucking me into a scary and exhilarating tunnel of total attention. How’d we do? he asked me, and waited for my answer as it it were the most important question he asked that day.